Welcome ComicLovers! It's good to have you back. Welcome Back! It's good to have you here. You are free to explore the website, enjoy reading Comic explanation for free. 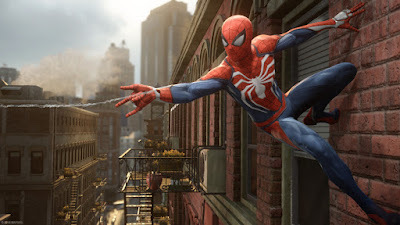 Games of SpiderMan: Everybody loves the friendly neighborhood superhero, Today we are going to explain and tell everything about spiderman games, history, list of online spider man games, offline spiderman games and everything else. Sit Back, and get ready!! We all know that one of the oldest and most powerful superhero is a normal teenager named Peter Parker in the real Earth. Marvel Comics released Spiderman in the 1960s, created by Stan Lee and Steve Ditko. Soon after the launch of SpiderMan, he became very famous among Comic readers. The first game spider man appeared in the year 1982, it was published by Parker Brothers, and it was named Spider-Man. It became a success and after that many publishers started to show interest in the Marvel's Character. Later in the year 1984, a new publisher named Scott Adams who was Co-Founder of Adventure International published a New Spider Man game named Questprobe: Spider-Man. Similarly, many other games launched after the success of the Character, and We will discuss it down below. 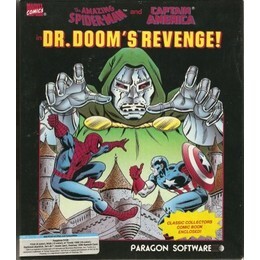 1989: The Amazing Spider-Man and Captain America in Doom's Revenge, was launched after the Questprobe: Spider-Man, developed by Paragon Software. 1990: In the Year 1990, three sipderman games were launched, including two different versions of the Amazing SpiderMan game and the third one was Amazing Spider-Man vs The Kingpin. 1991: Spider-Man: The Video Game was released, developed and Published by Sega, which was a very popular developer back then. 1993: After the success of Amazing Spider-Man 2, in the Year 1993, The Amazing Spider-Man 3: Invasion of the Spider-Slayers was launched and it was developed by Bits Studios. 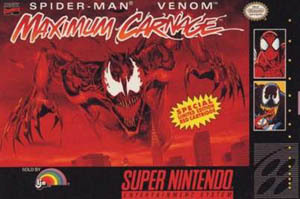 1994: Spider-Man and Venom: Maximum Carnage was released, and focused on a new villain, a Symbiote Character named Carnage, who is known to be highly dangerous (even more than Venom). It was Developed and Published by Acclaim Entertainment. 1995: Spider-Man: Genesis, launched by Acclaim Entertainment and Developed by Sega. Its story revolves around some of the oldest foes of Spidey, like Doctor Octopus and Green Goblin. 1996: The Amazing Spider-Man: Web of Fire, was launched by Sega. The Story of the game is related to H.Y.D.R.A organization. 2000: After the year 1996, the new spiderman game launched in the year 2000, named the same as the first one, Spider-Man (2000). 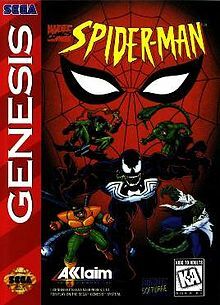 It was the first Spiderman game of the 21st Century, and hence the graphics, control, console, everything changed after this game. This game was developed for the famous gaming console Play Station by Sony. Activision developed the game for Play Station. 2001: After 1 year, three successors of Spider-Man was launched by Activision Games, named Spider-Man 2: The Sinister Six, Spider-Man 2: Enter Electro and Spider-Man: Mysterio's Menace. 2002: A new edition of Spider-Man (2000) was launched in the year 2002 by Activision Games with better graphics, control, and functionality. 2004: Spider-Man 2 based on the movie by Sony Pictures starring Tobey Maguire, was launched with the story and comic references matching the plot of the movie. Like all 2000s Spiderman games, this game was also Published by Activision Games. 2005: Ultimate Spider-Man, was the first game to focus the Ultimate Universe timeline in a Spider-Man Game, published by Activision Games. 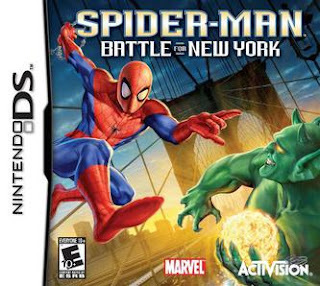 2006: Activision Games published the next the Spider-Man game named Spider-Man: The Battle for New York. The plot of the game suggests that the main Villain of the game is Green Goblin. 2007: The movie based game Spider-Man 3 was launched after the release of the movie Spider-Man 3 by Sony Pictures. One more Game was launched Spider-Man: Friend or Foe. 2008: Spider-Man: Web of Shadows, is a full 3D open world game published by Activision Games. One of the best feature of this game was the availability over multiple platforms. 2009: During these years, new mobile OS were becoming very popular like JAVA OS, Symbian, Blackberry OS, etc. Hence, Gameloft developed and published a new game for mobile OS named Spider-Man: Toxic City. It was set in the Ultimate Spider-Man Universe. 2010: Spider-Man: Shattered Dimensions was launched by Activision Games. It had 4 different Acts with 4 different Spider-Man Characters. 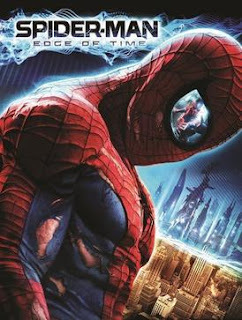 2011: This year a new game featuring Spiderman, named Spider-Man: Edge of Time was launched, which had a different plot. It was also Published by Activision Games. 2012: The Amazing Spider-Man was launched after the 2012 Amazing Spiderman Movie. It was published by Activision Games with enhanced graphics and support for almost all famous platforms. 2013: In the year 2013, two Spider-Man games were launched, Ultimate Spider-Man: Total Mayhem and Spider-Man: Unlimited for multiple platforms. 2014: The Amazing Spider-Man 2 was launched by Activision Games for the promotion of the new Spider-Man Movie by Sony Pictures. 2018: The latest Spiderman Game available right now, is the Spider-Man (2018), which completely open world, HD graphics, and Smooth controls. The game is developed by Insomaniac Games and published by Sony Interactive Entertainment. So, I have explained all the games of Spider-Man, but one thing worth noticing about this character is that he is really successful and people love to play his character in video games. I also played some of the Spider-Man games and I really love them. For me, the best Spiderman Game is the latest one, i.e, Spider-Man (2018). The reason behind this is the control and realistic graphics. I have played the game, and I can surely say that this is the best Spiderman Game, I have ever played. I would recommend all my viewers to at least play this game for once. For more exciting Online Spider Man games. That's all, I hope you like these interesting-little games which don't need free space on your device. I hope you like the listing and post, if you enjoyed the listing, then share with your friends and family to let them know about the history and present of Spider-Man in video games. ©️ Reserved by Igor11 Comics. Travel theme. Powered by Blogger.